What tyre inflators can I buy from Screwfix? Any serious workshop should have the right equipment for every eventuality, and there’s no point in keeping an immaculately-maintained motor if you can’t set the tyre pressures before hitting the open road. Here are a selection of workshop-spec tyre inflators from hardware experts Screwfix. 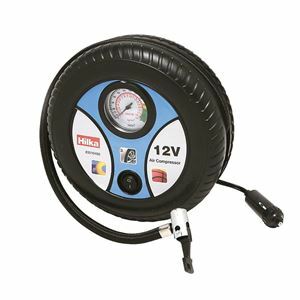 Costing a paltry £13, the Hilka Pro-Craft Air Compressor provides compact and fuss-free tyre inflation at a low price. A sturdy thumb-lock keeps the air line in place and the 3m cable ends with a 12V adaptor for in-car power. 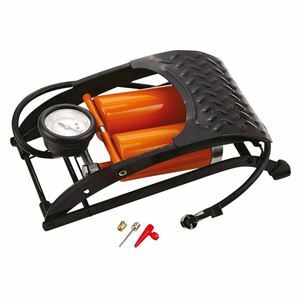 The large pressure gauge supplies readings in PSI and BAR and can inflate a car tyre in 10 minutes. Ideally suited for the workshop environment this Rapidi Air Compressor uses 240V mains power for high-speed inflation, taking a car tyre to 35PSI in less than two minutes. 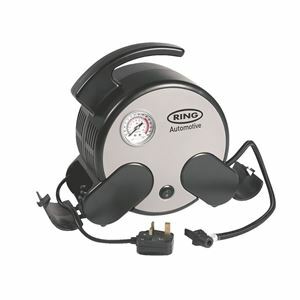 The analogue gauge offers readings in PSI, BAR and kg/cm2 while the 1.8m power cable gives plenty of reach; the 75cm coiled air line is compact and convenient to use too. If you need rapid and powerful tyre inflation on the move then this model from Ring is possibly the perfect choice. The sturdy unit has rubber feet for outdoor use and the twin clamps attach directly to a 12V battery to give lightning-quick inflation, filling a car tyre to 35PSI in less than 90 seconds. A 2.4m power cable plus 7m of air line makes it easy to tackle multiple tyres and a selection of nozzles are provided to suit all duties. 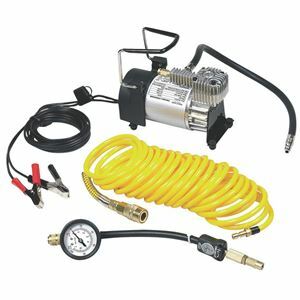 A compressor to tackle a huge variety of jobs, this device from Scheppach is packed with accessories. 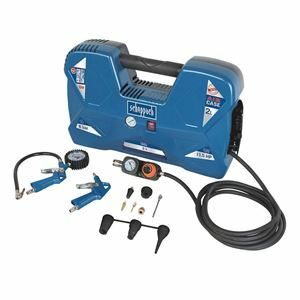 The 1.5hp electrical motor pushes out a massive 180 litres of air per minute to make short work of any task, while the 12-piece air tool kit includes a variety of fittings. This model is also equipped with a tank to enable continuous use up to 116PSI, all contained within its own case for easy transportation.